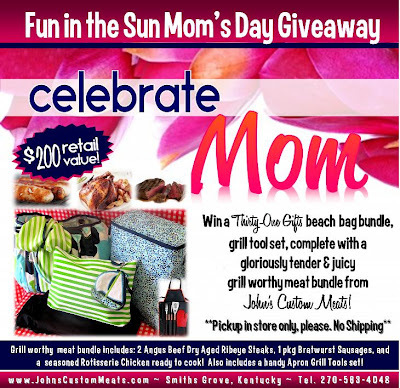 Celebrate Mom: Fun in the Sun Mom's Day Giveaway | Butcher Block with a Side of Farming! We love our mommy customers! In honor of all those mother figures we're having a great big 'ol giveaway to celebrate how much you mean to us. Our "Fun in the Sun" Mother's Day loot will send one lucky winner off to the lake or pool in style. Oh, yeah...one more thing. We're going to help you fill up that picnic cooler with a grill worthy meat bundle that's sure to tantalize the taste buds. We're even throwing in the grill tools! What's not to love about that?! Visit us on facebook for another chance to win! First, like us on facebook. Then, when you see this picture on our page, just "like it" for one entry into our drawing. 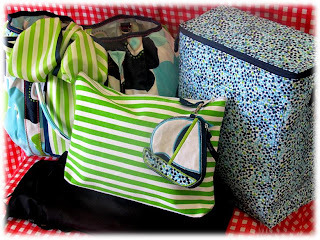 Thirty-One Gifts beach bag bundle ~ Pleated Top Beach Tote, Coordinating Silk Scarf, Thermal Picnic Cooler, Coordinating Lime Green Zipper Pouch (handy! ), & an Icon Coin Purse in the shape of a Sailboat. Cute! These prints scream summer! 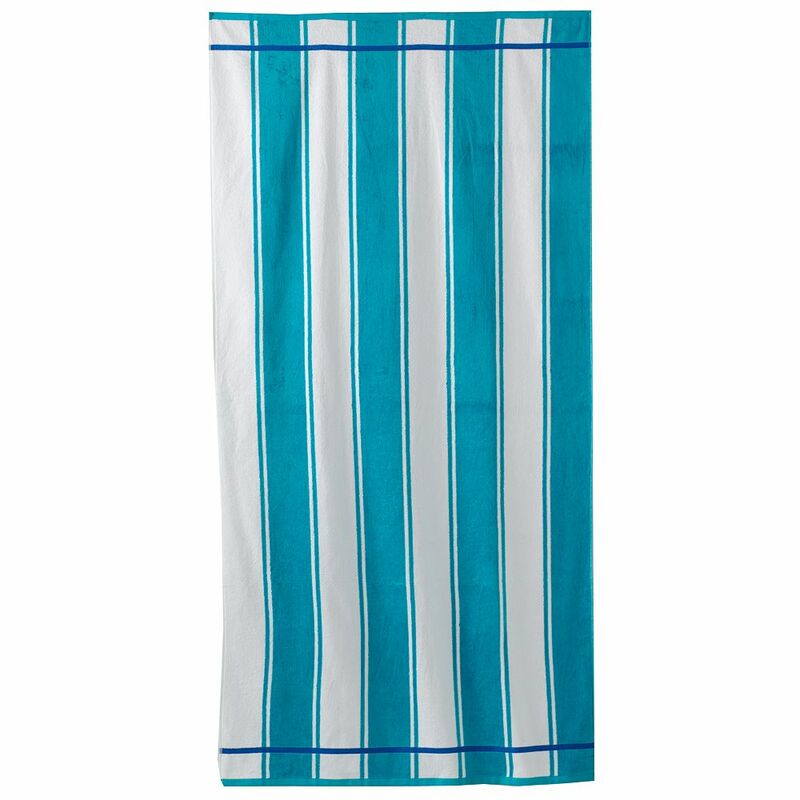 The beach bag is a nice large size to hold all of your goodies. The thermal picnic cooler has plenty of space to pack away a nice lunch for a family picnic and the zipper pouch is great to store little things you don't want to get lost. The cute sailboat is a coin purse. How practical! Nice large size too. Could easily be used to keep your favorite lip gloss in for touch-ups. So many uses. I just love Thirty-One gifts! Here's another look at all the Thirty-One Gifts items separately. Also included, a great beach towel to coordinate with the Thirty-One Gifts goodies. Made from soft velour cotton in a nice large size. 36" x 72"
Our giveaway would not be complete without a fantastic meat bundle from John's Custom Meats! Grill Worthy Bundle includes: (2) Angus Beef Dry Aged Ribeye Steaks, (1) package of our own housemade Bratwurst Sausage Links (6 links per package), and (1) Seasoned Rotisserie Chicken ready to cook. 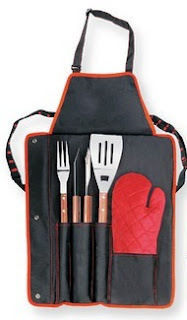 We'll even toss in these essential grill tools, wrapped up in a handy apron, to cook it all up with. Stainless Steel Grill Tool Essentials with wooden handles. That's right ladies! We adore you. We think you deserve something special. Don't worry men. We're cookin up something special for your day too. 1. Like us on facebook and when you see our giveaway post picture (the one at the beginning of this post), give it a like. That will give you one entry in our drawing. 2. Comment here on our blog. Let us know what your favorite grill worthy cut of meat is. That will give you one entry in our drawing. 3. Shop in our meat shop this weekend and enter in person. Just leave your name and a method of contact (In case you win, we need to be able to get ahold of you). That will give you one entry in our drawing. Top Sirloin Steaks or Roasts, Ribeye Steaks, T-Bone Steaks, Bone-In NY Strip Steaks, Tenderloin Filet Steaks (limited! ), and Chuck Roasts and Stew Meat. We'll also have housemade Bratwurst and Sugar Cured Hickory Smoked Slab Bacon (pre-order encouraged!). If you want to be sure to not miss out on our bacon, you can pre-order it here. In addition, we have some pre-packaged & boxed steaks in our freezer case. Each steak is individually vacuum sealed so you can just thaw what you need when you need it. Our storefront is open for shopping Friday and Saturday from 9am-6pm. If you're loving those cute Thirty-One bags, my best gal pal, Laura Cross is a Thirty-One Gifts Consultant. You can check out all of the great items on her page here. They have a sweet special going on 'til the end of this month. Spend $31 and get 50% off a handbag. Nice! Our giveaway will run through Tuesday, May 1st. We'll announce one lucky winner on our facebook page on Wednesday, May 2nd. **Please NOTE: We can not ship this. In order to be eligible to win, you must be able to pick your prize up in our shop. Any questions? If not, let's get this party started. Love a ribeye and the cheddar brats! Yummy! I'm easy to please--your ground beef is the best, but a ribeye sure would be nice for the grill. I love all cuts of meat! Our family loves John's Custom Meats, They are fabulous! Flank steak. And ribs. Oh my, ribs. Choose a favorite? Can't do it. I have never had anything from John's C. Meats that wasn't outstanding. (Ofcourse my cooking skills help, but I have to have quality meat to begin with.) Just don't tell too many people about this gem hidden on Hydro Pondsville so that there will always be enough meat for me when I come. A Ribeye steak is one of my favorite things to grill. I love a good ribeye, but I also love a good rack of ribs also. I would love to have any meat from John's Custom Meats because I have never had anything from there before. I miss the fresh meat from the farm. I need to come check things out, so if I win, it will give me a reason!